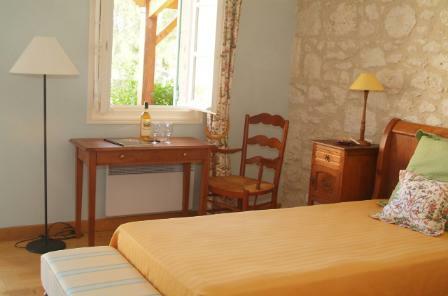 Spacious light filled corner room opens onto a private terrace with views toward the countryside. Large bathroom with shower, sink, toilet & second private sink makes getting ready each morning quick and pleasant. Spacious room opening onto garden with views toward countryside. Roomy bathroom with shower, sink, toilet plus second sink tucked in a corner to make getting ready each morning a pleasure. 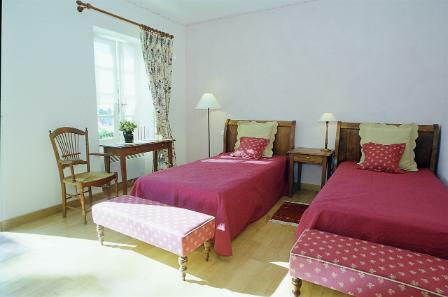 Large, comfortable room opening onto garden and views toward countryside Roomy bathroom with shower, sink, toilet. A second sink tucked to the side makes preparing for each day's adventure quick and pleasant. 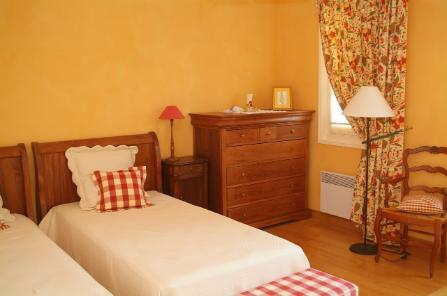 Large, comfortable room opening onto the garden. Beautiful stone walls capped by a perfectly preserved wood framed ceiling in this charming turret. Windows on two sides, look out to the countryside beyond. 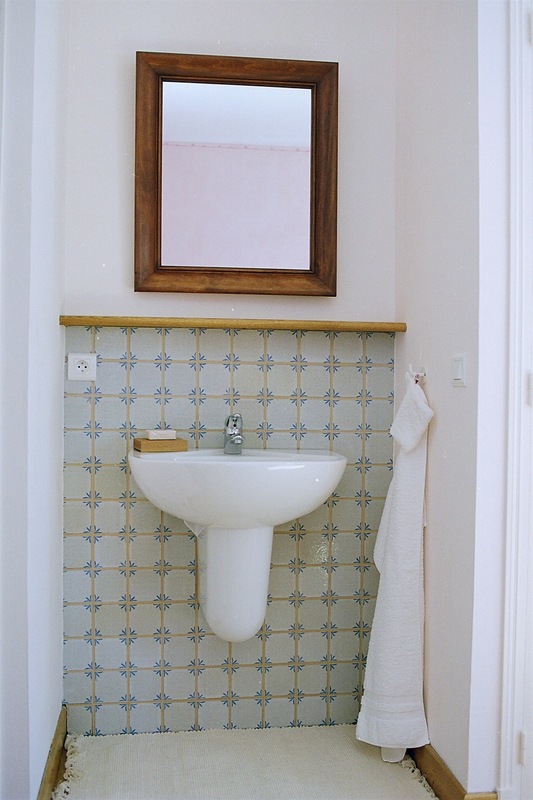 A small bathroom with shower, sink, toilet plus second sink tucked away. 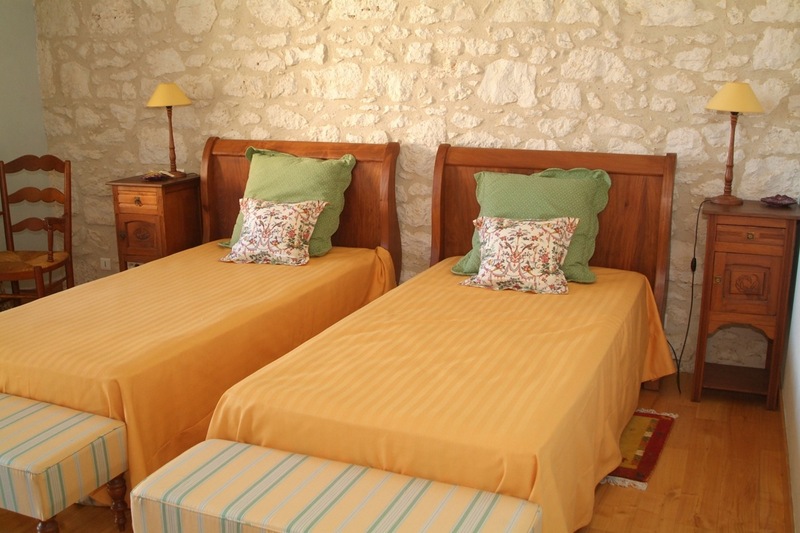 Spacious room with exposed wooden beams and two stone walls. Large window overlooks countryside. 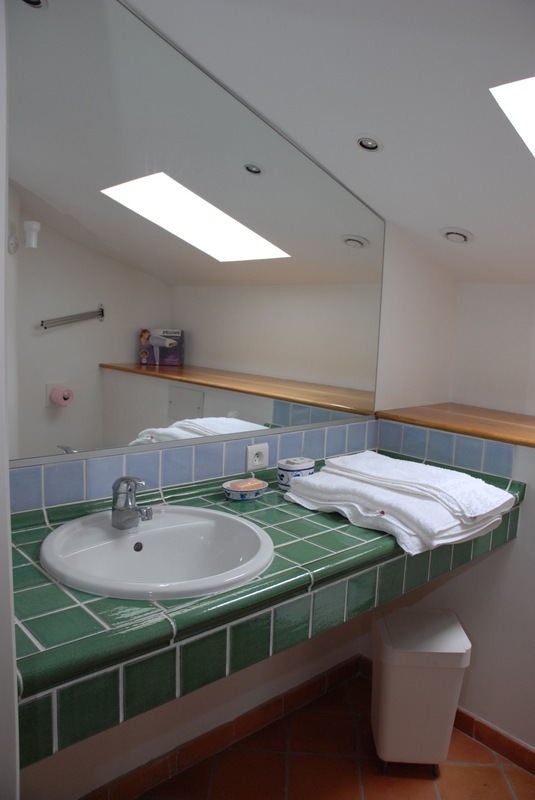 Large bathroom with sink, shower and toilet with a second sink tucked into a corner of the bedroom. Spacious room with huge sky light lets you fall asleep under a blanket of stars. Large bathroom with shower, sink and toilet. 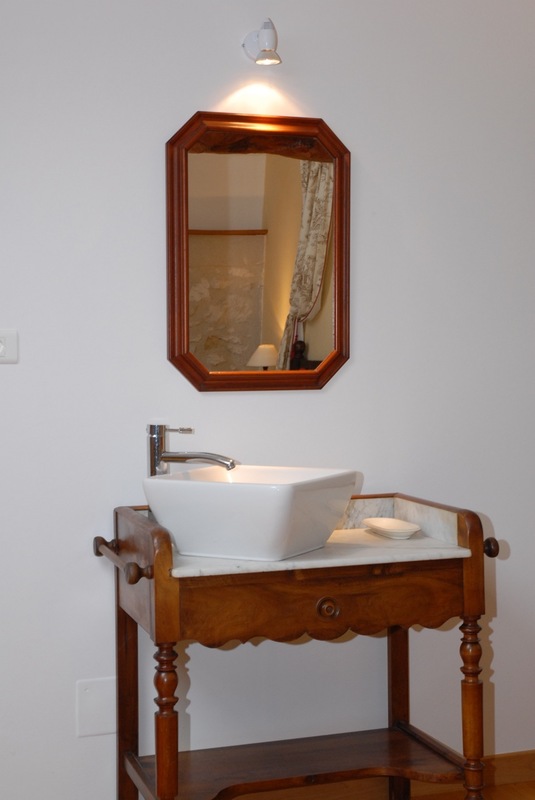 The second sink in this chambre harkens back to an earlier era. 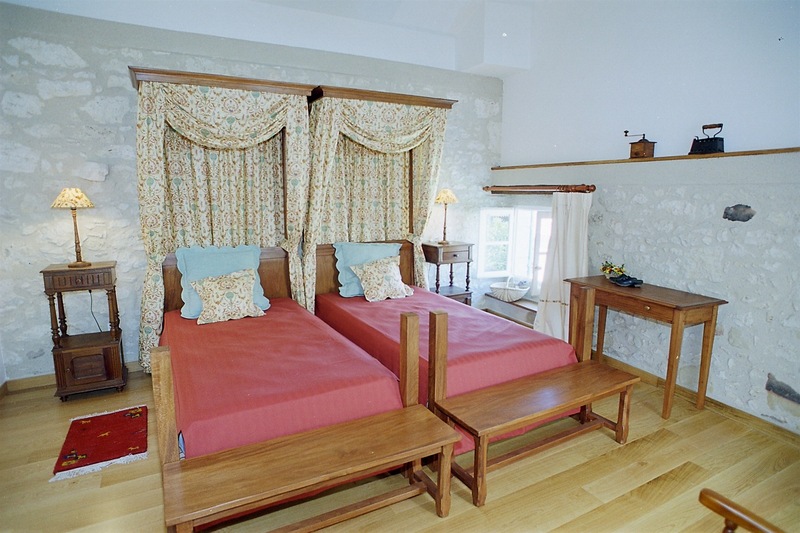 Large guest room with massive exposed beam and stone walls with views to garden and countryside beyond. Generous size bathroom with sink, shower and toilet. 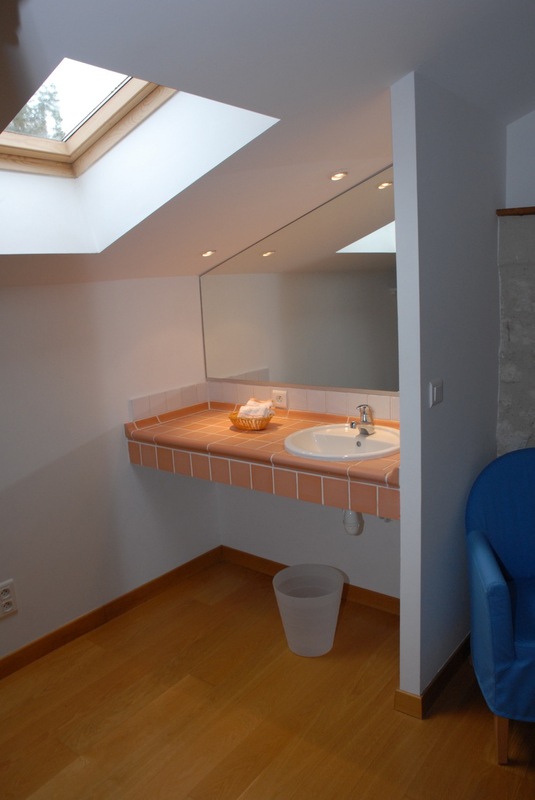 The second sink is tucked around the corner in the bedroom.